Classic New England Treats: Richie's Italian Ice in Everett, Mass. Many trendy gourmet ice cream and other frozen treat stores come across as cold as ice, but not the old school Richie's Italian Ice in Everett, Mass. 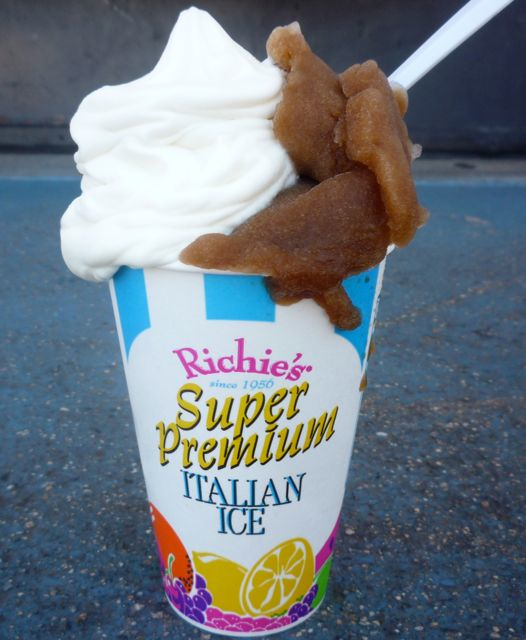 Richie's has withstood the test of time by serving up absolutely delicious Italian ice since 1956. Located in a small, nondescript order-at-the-window storefront on busy, fast-paced Revere Beach Parkway, it's easy for someone not familiar with the area to pass right by the place -- especially when someone is tailgating you at 60 miles per hour. That plain-looking building, however, magnetizes Boston area locals in the know to its business and creating wonderful summer memories in the process. Despite the densely populated environs, life slows down at Richie's as if its presence blocks the harsh elements of traffic, drivers constantly honking their horns, and music often blaring discordant music from car stereos. Going to Richie's is like being in a Norman Rockwell painting of classic Americana that somehow displaces anything displeasing to the eyes and ears just yards away. How could this be? For starters, the inviting old school storefront and the phenomenal Italian ice -- also known as slush -- automatically shifts the focus to a more welcoming world. Further more, the owners and staff at Richie's always seem warm, helpful and grateful for your business by treating you like family. 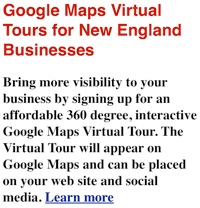 The prices are quite reasonable, thus making that overall experience that much better. It's one of those "You just don't get service like that anymore," retro type of places where you get good value for the money. You can't go wrong with any of the every day flavors: lemon, banana, watermelon, blue vanilla, cherry, root beer, orange cream, tangerine, mango, lime and sour blue raspberry. While most Italian ice makers do a fine job at their craft, Richie's simply brings the art and science of slush making to another level. The flavors mentioned burst with taste, and specials like coffee cream, double fudge, pink grapefruit and red raspberry have the same effect. 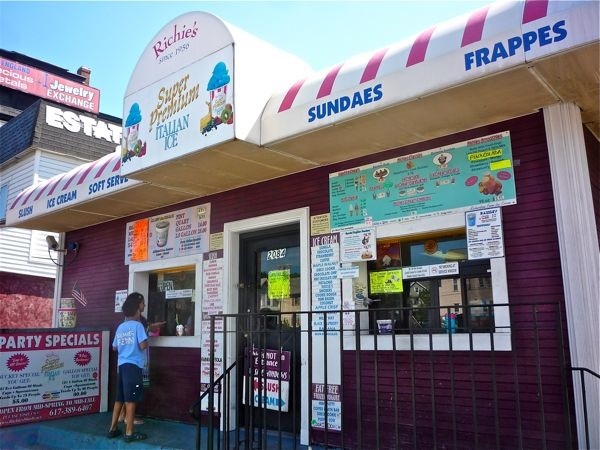 Richie's doesn't end with just slush, however, serving hard ice cream, sundaes, soft serve, frappes and malts, ice cream sandwiches and floats, and smoothies. Italian ice, though, is clearly the specialty, however, that brings customers in from even long distances late at night. Take this as one of the great frozen treat tips in modern civilization; ask our server to combine your chosen Italian ice with vanilla soft serve ice cream. The combination is out of this world, especially the root beer and vanilla soft serve mix. Richie's has expanded greatly through the years, servicing New England retailers, food service operators, hotels and concessionaires. That is nice -- and a true small business success story to be revered -- but I'll take the long drive to the flagship Everett location, any time. The special memories of the past, and the chance today to revisit those days by enjoying the Italian ices and back-in-the-day storefront have a timeless quality, indeed.